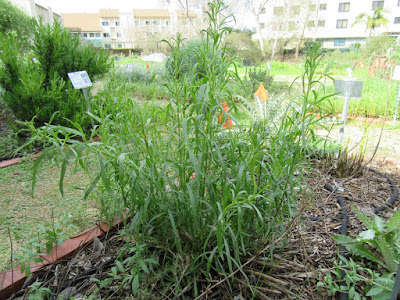 We featured California wild tarragon (Artemisia dracunculus) as our Plant of the Month (Jan/2018) (http://mother-natures-backyard.blogspot.com/2018/01/plant-of-month-january-california-wild.html). 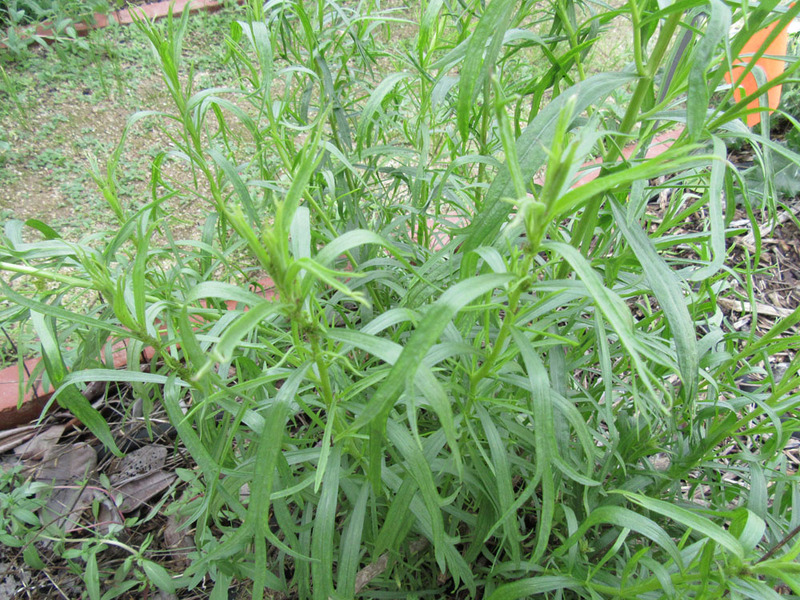 We hope some of you foodies are considering Wild tarragon for your gardens. To get you inspired, we’d like to share a few recipes featuring California wild tarragon. We’ll begin with some simple, classic suggestions and recipes this month. These are the easiest ways to include the flavor of tarragon in your cuisine. We’ll feature some slightly more unusual tarragon recipes next month. Tarragon (French or Wild) has a unique flavor that most people either love or can leave. Unlike the savory flavors of thyme, sage and rosemary, tarragon has a sweet and mild nature. It tastes fresh – with a hint of licorice. The flavors of Wild tarragon combine well with a number of other flavors including celery, basil, fennel and others. Among the classical pairings are with the acidy tang of vinegar or citrus. Fresh or dried tarragon can be added to cooked vegetables, soups or stews. Fresh tarragon is best added near the end of cooking, to keep it flavorful. The essence of tarragon combines well with the buttery flavor and texture of fats. If you want to savor the flavor of tarragon, pair it with salt to create a rub or finishing salt for beef, pork, poultry, fish or shellfish. Tarragon adds a light, fresh element to lift the flavors of fatty foods. Another simple way to feature the flavor of tarragon is with a simple tarragon butter. Tarragon vinegar is easy to make and very versatile. 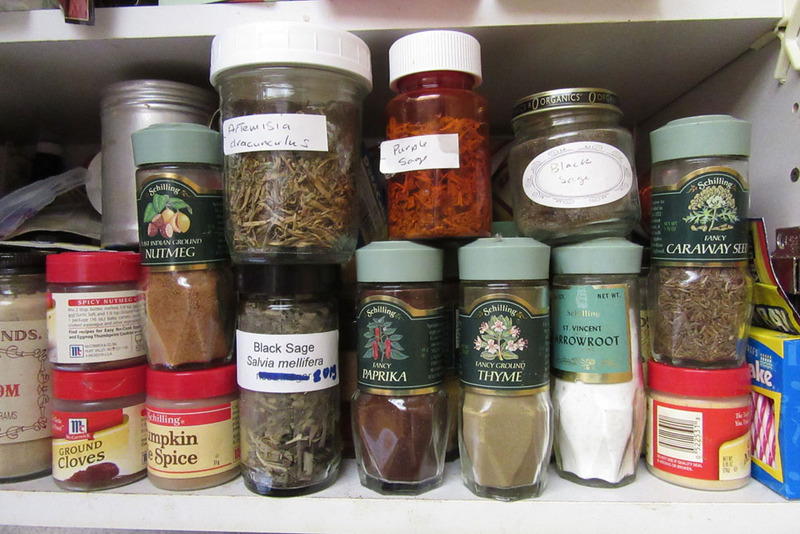 It can be used in many ways – from marinades to sauces and beyond. It’s a staple of French and Italian cuisine - you may have a favorite family recipe that uses tarragon vinegar. Below are two simple recipes for you to try. Soften butter to room temperature. Cream the butter in an electric mixer, food processor or by hand. Add the lemon juice, tarragon and onions and blend well. Season to taste with salt and pepper. Chill at least 1 hour in refrigerator before serving. If desired, you can shape the butter into a log when partly chilled. The butter than then be cut into ‘pats’ when fully chilled. Tarragon butter tastes yummy on grilled meats, chicken, fish and seafood. It adds a sophisticated touch to potatoes, baked squash and other vegetables, from green beans to cooked root vegetables. It’s also heavenly on toasted bread or rolls. You can play around with the flavors, adding other fresh herbs and spices you like including parsley, garlic, mustard, cayenne or dill. You can also substitute lemon, orange or tangerine zest for the lemon juice. Making Tarragon vinegar is very easy. 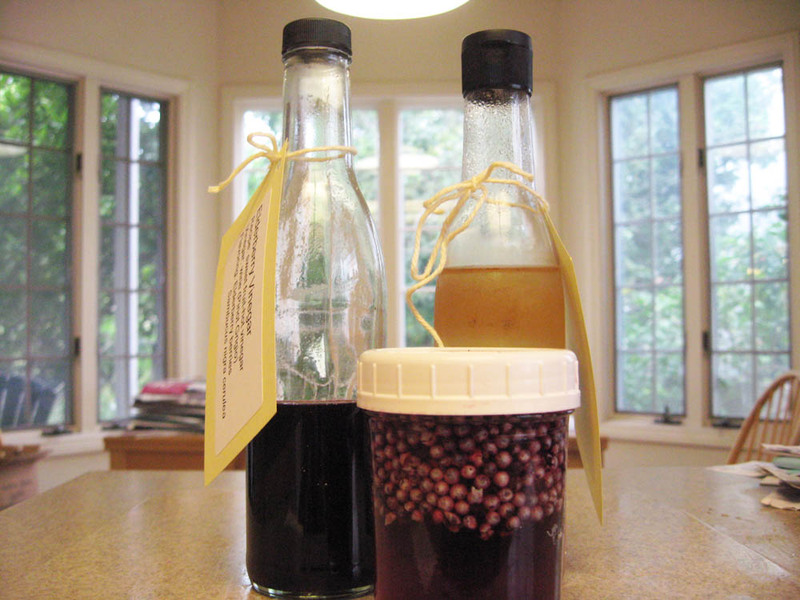 But you might want to review our posting on Flavored Vinegars before you make your first batch: http://mother-natures-backyard.blogspot.com/2014/01/california-gourmet-making-flavored.html. The best method for making Tarragon Vinegar is the hot-infused vinegar method, below. Wash and sterilize a glass jar with a lid (to sterilize, wash the jar, then cover with boiling water in a pot until ready to fill). The jar should be at least 16 oz. or greater capacity to accommodate herbs and vinegar. Heat the vinegar to just below boiling (in a non-reactive pot on the stove or in the microwave). 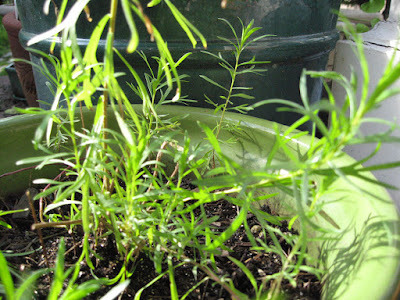 Wash the tarragon sprigs in cool water; pat dry. Bruise the tarragon with the back of a heavy knife or mallet. Place tarragon in the sterilized jar. Using a funnel, pour hot vinegar over the tarragon, making sure that tarragon is completely covered. Let cool to lukewarm; place a layer of cling wrap over the top of the jar before sealing with a plastic or metal lid. Place in a cool place, out of direct sunlight, for one week. Swirl the mixture every other day or so, to allow the flavors to develop. Wash and sterilize another glass jar(s) with capacity to hold 2 cups of vinegar. Remove the lid from infusion jar. Strain out the tarragon sprigs using a sieve or colander lined with several layers of cheese cloth. If there are still small pieces in the vinegar, you can strain the vinegar through a paper coffee filter to remove them. Pour finished vinegar into sterilized jars. If desired, place an addition sprig of tarragon in the jar before sealing (note: this is just for aesthetics – particularly if you’re giving the vinegar as a gift). Seal jar(s) as above. Store for several months in the refrigerator. Use Tarragon Vinegar in your favorite vinaigrette, mayonnaise or sauce recipe. It also makes a nice marinade for meats, fish or vegetables – or drizzled on sandwich fillings. You can also use it as marinade or sauce for fresh sliced strawberries, fruit pies or other desserts using fresh fruits. January begins with the hope of long-needed rain. We’ve been watering since late November, so some perennial plants are leafing out, despite the lack of rain. One of these, the California wild tarragon (Artemisia dracunculus), is producing plenty of bright green foliage in our Garden of Health. The scientific name for this species is pronounced : are-teh-MEE-see-uh drah-KUNK-yu-lus. California tarragon is a member of the Sunflower family (Asteraceae). It belongs to the same genus as the more familiar California sagebrush (Artemisia californica) and Mugwort (Artemisia douglasiana). For more on these other two Artemisias see: http://mother-natures-backyard.blogspot.com/2013/11/plant-of-month-november-california.html and http://mother-natures-backyard.blogspot.com/2017/12/plant-of-month-december-california.html. Artemisia dracunculus is native to western North America, from Alaska to northern Mexico. It can be found throughout much of California; locally, it still grows on Catalina Island, and in the Santa Monica, Verdugo and San Gabriel Mountains and their drainages. A plant requiring good spring moisture, it grows in many plant communities, from coastal sage scrub to coniferous forest, at elevations up to 11,000 ft. (3300 m.). It once was common in seasonally wet areas of the Los Angeles Basin, including along Ballona Creek and likely other places. This is not the showiest of natives, so it was probably not routinely collected. This, unfortunately, was the fate of many a plain, common native plant in the early days. Overlooked – but not unimportant. 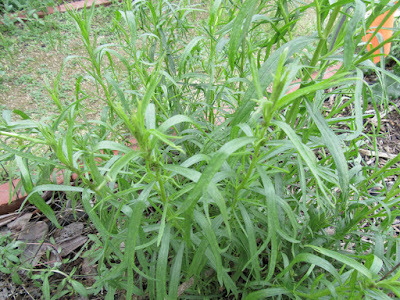 California tarragon is a part-woody sub-shrub, growing 2-5 ft. (0.5-1.5 m.) tall and 3-5 ft. wide. It consists of multiple upright stems that increase in number as the plant matures. The grayish tan stems are fairly stiff and woody except at their tips, and are often sparsely branched. Some feel that Wild tarragon has a weedy appearance – but that’s in the eye of the beholder. We tend to like the open, lacy appearance of the foliage, particularly in spring and early summer. 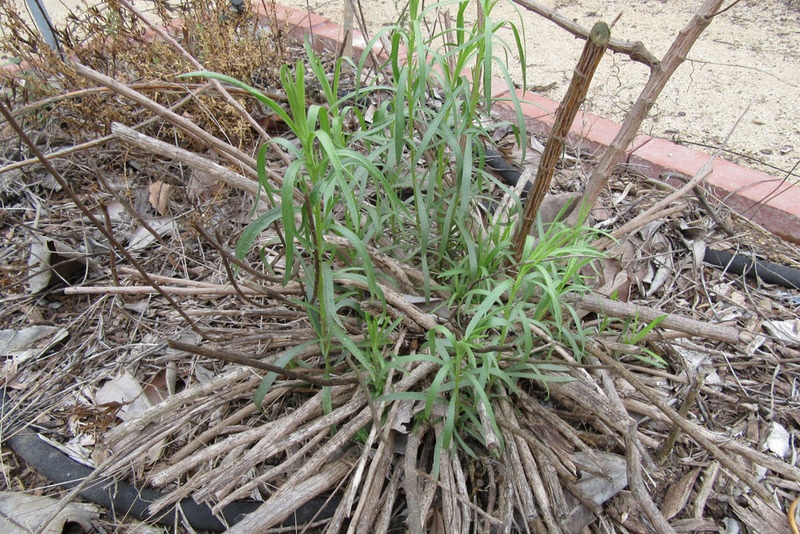 The leaves of Wild tarragon are narrow – sometimes almost linear – and occasionally toothed. The foliage may be aromatic on a warm day, and is certainly so when crushed. The foliage is most often smooth (without hairs) and leaf color ranges from bright green (emergent) to darker or gray-green in the dry season. The foliage is drought-deciduous, but plants can be kept green with occasional summer water. Like our other local Artemisias, California tarragon is a warm season bloomer – often from July or August into September or October in Western L.A. County. The flowers are typical for the Artemisias: small, green-gold flower heads along the tips of the upright stalks. The flowers are wind-pollinated, so they don’t need to be showy. We’ll get some pictures of the flowers next summer. 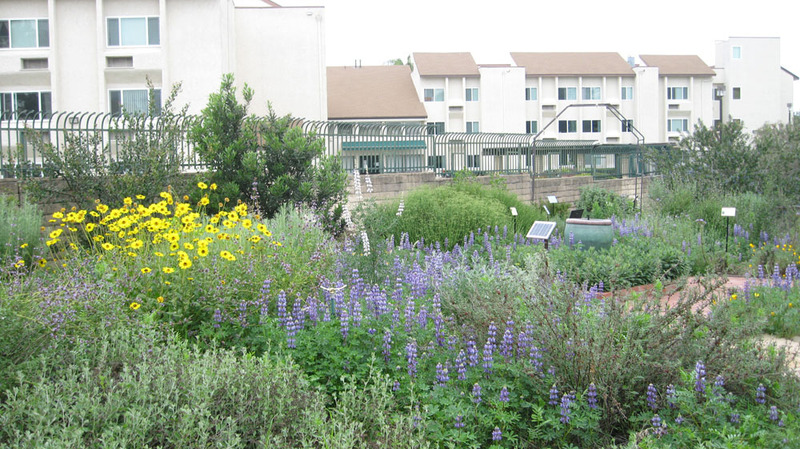 Until then, see some excellent photos on Cal photos: https://calphotos.berkeley.edu/cgi/img_query?rel-taxon=begins+with&where-taxon=Artemisia+dracunculus. 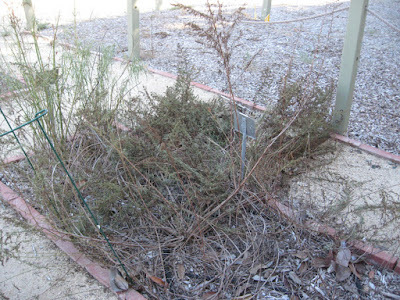 Artemisia dracunculus is fairly easy to grow, tolerating even local alkali soils. Most garden experts recommend full sun. But in warmer, inland local gardens it will probably do better with some afternoon shade. 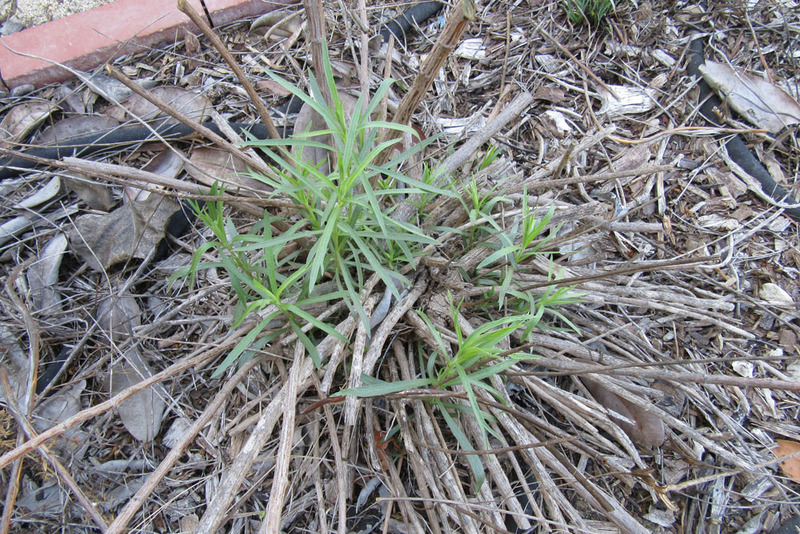 In the wilds, Wild tarragon often grows on well-drained sandy or alluvial soils; too much summer water can lead to root rot. That being said, our plant in the Garden of Health, growing in compacted clay loam, has done well for the past four years. We are a bit more cautious of summer irrigation, soaking monthly from June to August. 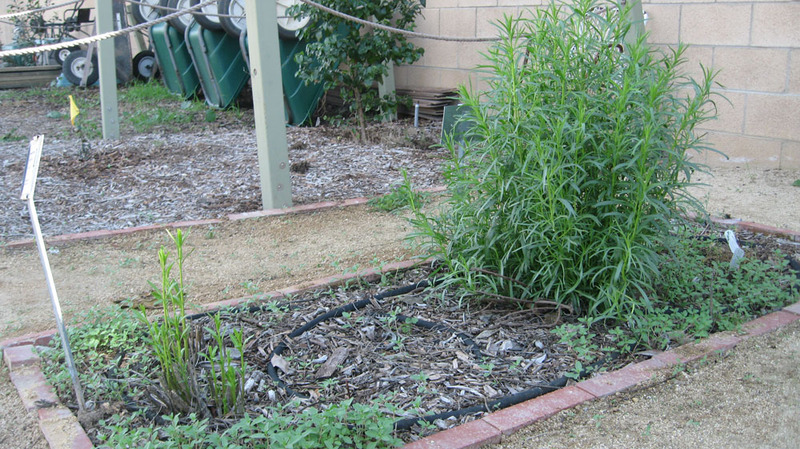 Plants in well drained sandy or rocky soils – or in containers – can safely be watered more frequently. Plants really do look better with judicious summer water. Just let the soil dry out well between waterings. 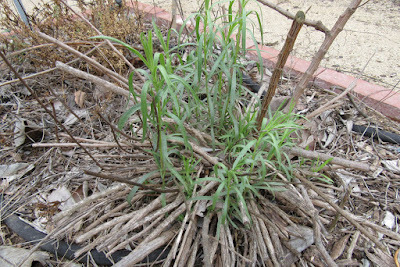 While this plant can be invasive in moist soils, this is unlikely to be an issue in a water-wise S. California garden. It spreads via rhizomes, but has increased only minimally in size in the four years in our garden. Just don’t over-water (or contain it in a pot). Like a number of our local native sub-shrubs, Artemisia dracunculus can be short-lived (5-10 years) in the garden. We don’t have long-term, personal experience with this plant. We do prune our plant back severely each fall (after foliage dies), in an effort to rejuvenate it and prolong its life (see below). In the wilds, plants are routinely browsed by deer, elk, bighorn sheep and others; they actually need to be pruned. Plants grown in containers also benefit from dividing every 2-3 years. But we won’t be surprised if we need to replace our plant occasionally. 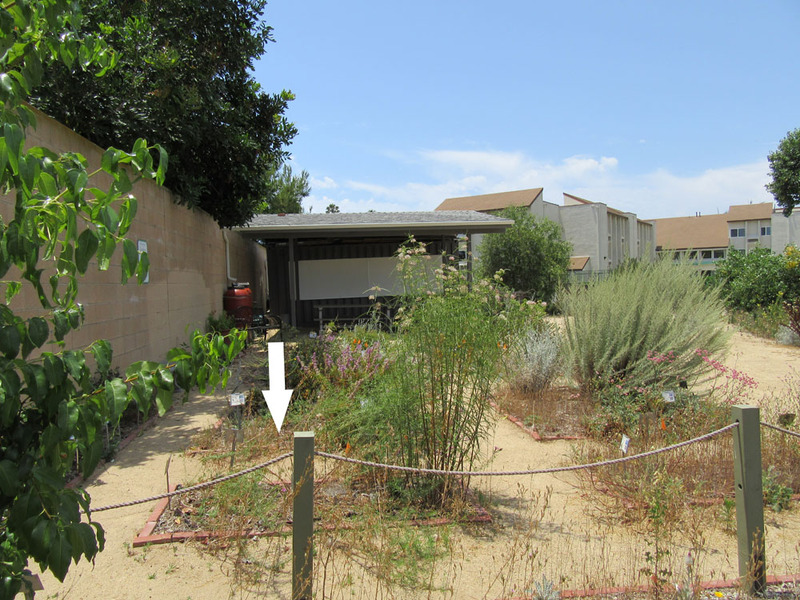 We’re not entirely sure why some local sub-shrubs have a limited garden lifespan. Some limitation is likely due to the ‘not quite natural’ conditions of garden life. But we suspect that a shorter lifespan is also due to properties inherent in the plants themselves. These species are associated with mediterranean climate landscapes - landscapes that mature and are replaced more rapidly than those of moister climates. We shouldn’t be surprised that these shrubs are adapted to cycles measured in decades, rather than centuries. You likely guessed that Wild tarragon has medicinal and culinary uses. Tarragon has a flavor difficult to describe: spicy, warm and somewhat sweet. 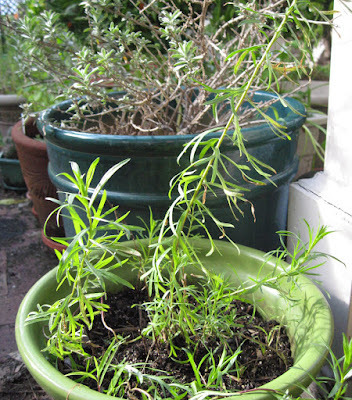 If you reach for the tarragon in your spice cupboard, consider growing a fresh, native source in your garden. Fresh tarragon leaves can be used in salads or as a flavoring for herb butters, vinegars, sauces, pickles, salad dressings, soups and stews. The leaves can be rubbed on meat or fish before roasting or grilling. The flavor of wild tarragon is quite adaptable, and can be used in surprising ways: to flavor beverages, in liqueurs and even in baked goods. Young, tender shoots can be cooked and used as wild greens or as a potherb. The seeds – collected in fall – can be parched and eaten or used as a flavoring agent. Leaves can be dried for later use, but should be used within 6 months or so (they lose their characteristic flavor with age). 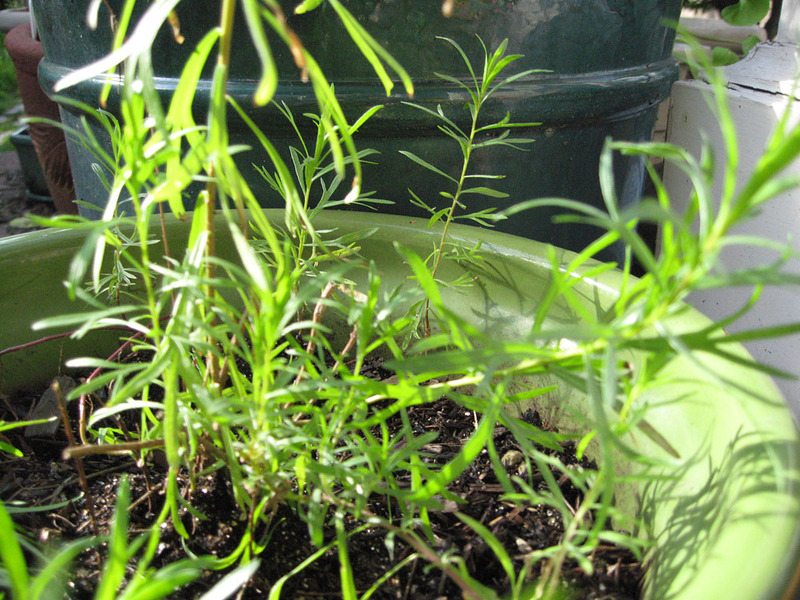 To inspire you, we’ll post some recipes using Wild tarragon later this month (http://mother-natures-backyard.blogspot.com/2018/01/california-gourmet-wild-tarragon.html). 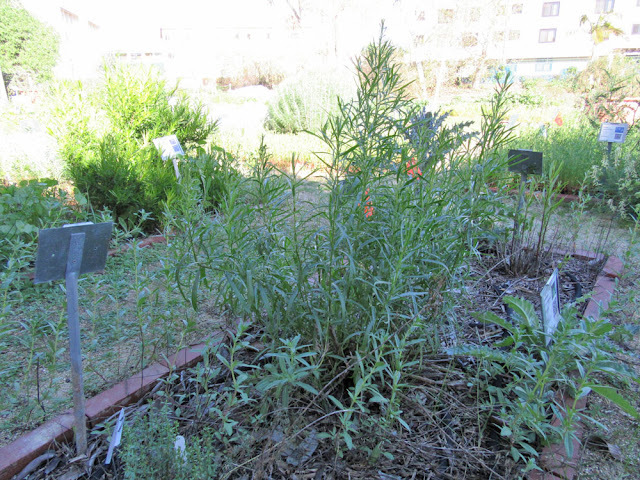 Wild tarragon has a long history of medicinal use. It has a reputation for soothing indigestion, particularly when used with fatty meats. An infusion of the leaves has been variously used to treat fevers, intestinal worms and indigestion. It is also a mild sedative and can be used as a sleep aid. 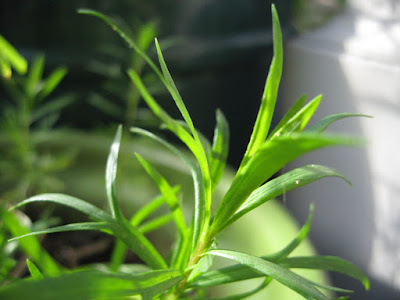 Tarragon has also been used to stimulate menstruation and should not be used by pregnant women. Traditional medicine favors a poultice of the foliage to heal cuts, treat toothache and ease arthritic pain. The root was also used for toothache and menstrual problems. The plant has also been employed - fresh, dry or burned - to repel insects (like mosquitos, bedbugs and others), and as a breath freshener or perfume. Recent studies have confirmed the medicinal properties of Tarragon extracts. They are active against a wide range of human and animal bacteria. There is also some evidence for anti-fungal activity. As always, herbal medicines should be used with caution, and only after consulting with a qualified medical practitioner. For more on the medicinal use of Wild tarragon, see references 1-3, below. 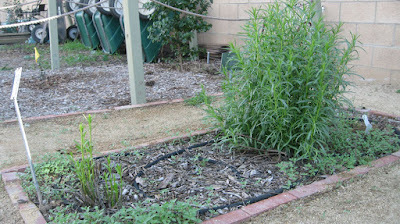 If you want to include Wild tarragon in your garden, first consider its size. It will get to 4-5 ft. wide, so give it the space it needs. 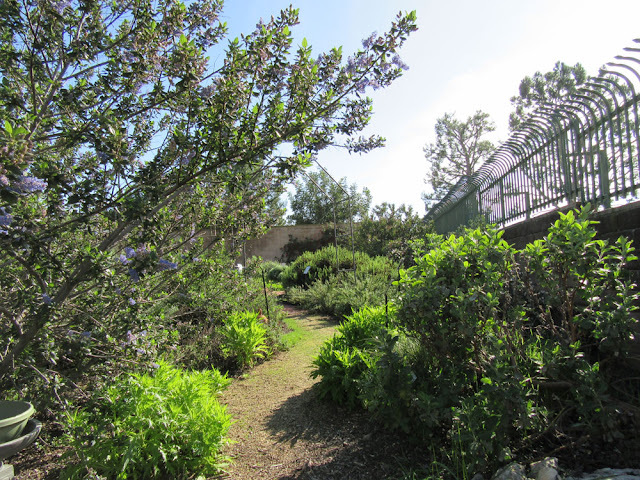 Of course, Artemisia dracunculus is right at home in a medicinal or herb garden, particularly one that features Mediterranean herbs like thyme and rosemary. It also is perfectly happy in a large container – very much a Mediterranean look. But consider also using it in a mixed native bed, with California sagebrush, California brickelbush, the bush monkeyflowers and wild grasses. It would also be very happy on the edges of a rain garden or infiltration swale. It will love getting a little extra winter/spring water. Just remember that it gets a little raggedly looking by fall. We hope you’ll be inspired to include Artemisia dracunculus in your own garden. It’s a wonderful example of a highly useful native plant. And it gives an authentic, water-wise, California touch that simply can’t be duplicated by a non-native shrub.